Hillary Clinton already has some celeb supporters. Dunham’s declaration of support was posted Sunday, the same day Clinton announced her bid for the White House. She’s the first Democratic candidate to formally announce a campaign. Republicans Ted Cruz, Rand Paul and Marco Rubio have also announced their intent to run in 2016. And while Dunham’s public support for Clinton came with a lot of supportive comments from her fans, it also brought in some pretty nasty ones. Regardless of the hate, though, the photo had collected nearly 35,000 likes by Monday. Other celebrities who have publicly announced support for Clinton include Clay Aiken, Jesse Tyler Ferguson, Kat Dennings, America Ferrera and Amy Poehler, who posted a clip to Twitter of herself playing Clinton on Saturday Night Live. Dunham, an outspoken feminist, has been active politically for a number of years. In October of 2012, she sparked controversy with an ad encouraging young people to vote that compared the act of voting to the loss of virginity — on the first time, “you wanna do it with a great guy,” Dunham said in the ad about voting for President Barack Obama in 2008. 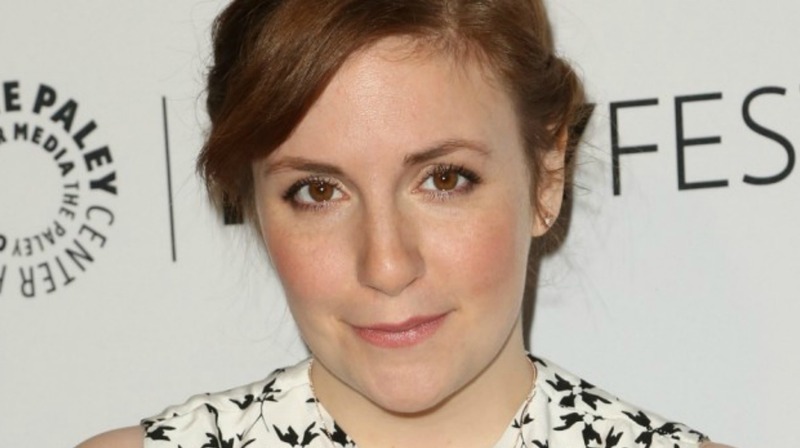 What do you think of Lena Dunham’s joke about Hillary Clinton’s presidential bid? Is it funny or in poor taste? Head down to the comments and let us know.